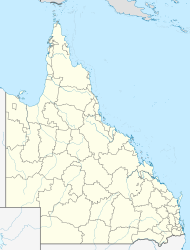 Burnside is a locality in the Sunshine Coast Region, Queensland, Australia. In the 2016 census, Burnside had a population of 2,409 people. According to local sources, Irish immigrants Patrick King and his wife, Mary, acquired a 314 acres (127 Ha) selection along the southern boundary of the Nambour Cattle Run in 1881. The property was named 'Burnside' derived from the Gaelic term 'burn' (meaning creek), as the selection ran along today's Whalley Creek). The Whalley family (who the creek was named after) arrived in 1884. In 1979, the Burnside State High School opened. It is a co-educational high school and caters for students from Years 7 to 12. The Roman Catholic school, St John's College, Nambour, moved to Perwillowen Rd in 1979 and was renamed from St Joseph's. It is a secondary school. The Nambour Special School is located in Burnside. It supports the educational development needs of Prep to Year 12 students of the Sunshine Coast region. It was 1980, it was decided a TAFE campus should be developed in Burnside, with construction starting in 1981.. Physically the largest of Sunshine Coast Institute of TAFE campuses, the Nambour campus offers courses including Childcare, Community Work, Conservation and Land Management, Horticulture, Construction, Graphic Design, Music, Photography, Interior Design, and Building Design. There are several Christian denominational places of worship in the Burnside area. They include Nambour Gospel Chapel, Flame Tree Church [Baptist], Nambour Seventh-day Adventist Church, Nambour Presbyterian Church and Nambour Wesleyan Methodist Church. Sundale Rotary Retirement Community is a seniors community of 80 units and occupying 2.8Ha (7ac.). It has an extensive range of support and entertainment services. The Australia Post Business Hub for the Nambour area is situated in Burnside. ^ a b Australian Bureau of Statistics (27 June 2017). "Burnside (SSC)". 2016 Census QuickStats. Retrieved 20 October 2018. ^ a b "Burnside - locality in Sunshine Coast Region (entry 48550)". Queensland Place Names. Queensland Government. Retrieved 1 November 2018. ^ "The first settlers of the Nambour area". Retrieved 1 February 2018. ^ "Whalleys Creek - watercourse in the Sunshine Coast Region (entry 39088)". Queensland Place Names. Queensland Government. Retrieved 1 November 2018. ^ "Burnside State School". Retrieved 2 February 2018. ^ "Burnside State High School". Retrieved 2 February 2018. ^ "St John's College, Nambour". College History. Retrieved 12 February 2018. ^ "Nambour Special School". Retrieved 12 February 2018. ^ "TAFE has come a long way on the Coast". Sunshine Coast Daily. Retrieved 1 February 2018. ^ "Nambour campus". Retrieved 1 February 2018. ^ "Sundale Retirement Communities". Burnside. Retrieved 12 February 2018. ^ "Australia Post". Nambour Business Hub. Retrieved 12 February 2018. "Burnside". Queensland Places. Centre for the Government of Queensland, University of Queensland.